Offering creative options in grate design, Stormtech’s range of metallic colours and finishes includes brass, copper, bronze and matt black. Stormtech’s range of brass, copper, bronze and matt black colours and finishes for drainage systems offers creative options to designers, specifiers and consumers. 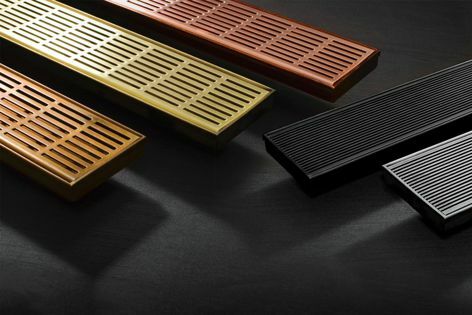 The metallic colours and finishes are available across the whole range of Stormtech’s designer grates and drains. They can add sparkle and give a sleek and luminous finish to any contemporary design.